The Baltimore Orioles and the Los Angeles Dodgers will clash in interleague MLB action from Chavez Ravine Wednesday afternoon. The Dodgers have won seven of the last 10 head-to-head meetings, but this set is tied at 1-1 as the Orioles snapped a five-game skid behind solid pitching from Chris Tillman yesterday to tie the series. Kevin Gausman will go toe to toe with Bud Norris in Wednesday’s rubber match. Kevin Gausman (1-6, 3.97 ERA) will toe the rubber for Baltimore. He’s never faced Los Angeles and is 0-5 with a 5.02 ERA in eight starts on the road this year. He’s been sharp in his last two starts though with 14 strikeouts and only three runs allowed on 12 hits in 13 2/3 innings while splitting a pair of decisions against Seattle and Tampa Bay. J.J. Hardy recorded a hit in four at-bats in yesterday’s win and is 6-for-16 with five RBIs over his last four contests. He’s 4-for-8 in previous meetings with Dodgers’ pitcher Bud Norris. Baltimore will have five players in this year’s All-Star Game as 3B Manny Machado won the fan vote while C Matt Wieters, RF Mark Trumbo, LHP Zach Britton and RHP Brad Brach also were named to the AL squad. Dodgers’ shortstop Corey Seager is riding a 18-game hitting streak, the longest by a Dodger since Hanley Ramirez’s 19-game run in 2013. Seager who has been named to the National League All-Star team, went 1-for-4 in Tuesday’s loss and will get his first look at Gausman. Bud Norris (4-7, 3.89) will toe the slab for the Dodgers. He got a perfect start with the Dodgers since coming over from the Braves, limiting Colorado to two hits and a walk while striking out eight over six scoreless innings in the victory on July 1. Norris is 3-0 with a 1.78 ERA (6 ER/30.1 IP) and has posted a 0.82 WHIP in his last five starts. He pitched for the Orioles from 2013-15 and had a 21-20 record and a 4.65 ERA. Orioles are 8-2 in their last 10 interleague games. Orioles are 7-2 in their last 9 during game 3 of a series. 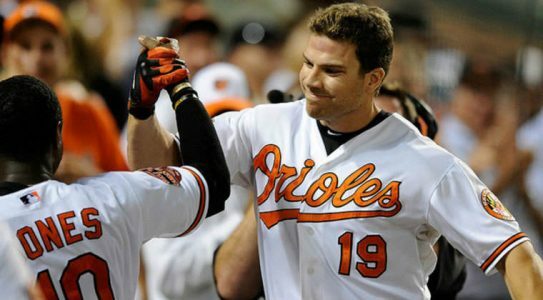 Orioles are 3-14 in Gausmans last 17 starts vs. a team with a winning record. Orioles are 5-16 in Gausmans last 21 road starts. Dodgers are 6-2 in their last 8 interleague home games. Dodgers are 40-19 in their last 59 during game 3 of a series. Dodgers are 21-6 in their last 27 home games. Orioles are 3-7 in the last 10 meetings. Orioles are 1-4 in the last 5 meetings in Los Angeles.